Welcome to screen-Art, a Brighton based screen printing workshop. 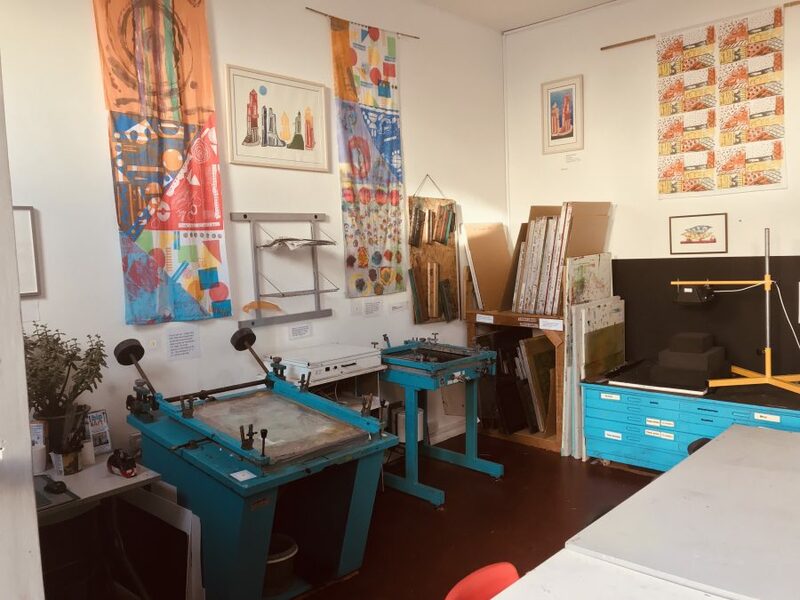 Housed in an old dairy, we offer screen printing courses on both paper and fabric, as well as Open Access facilities for those who have the experience to work without tutor support. Come and visit our friendly studio, bathed in orange and light, introduce yourself to the four screen beds and join us in ‘putting the soul in screen’.